Here you will find some Wedding Photography Reviews. I can shout about my passion and my love for wedding photography all day long but we all know that you want to hear from past couples. Here are some comments from some great couples that I have had the pleasure to work with. Wedding photography is a very personal job, a wedding photographer spends the whole day with you and your guests. I am very proud of my reputation as a friendly and professional wedding photographer. My last wish is to boss people or to intrude on your day and that is a promise that I make to you. For more Wedding Photography Reviews you can visit my Facebook page or just try searching for me on Google? Tom was absolutely fantastic. We were so impressed with his professionalism and his efforts to fulfil our wishes. Nothing was too much trouble. Tom was very discreet on the day and always respectful of the guests and proceedings. He has created some wonderful images which we will treasure and enjoy for many years to come. Tom was a brilliant photographer and really cared about getting it right for us. He visited the venues in advance so that he could plan where to take the photos and spent loads of time working with us to get the sorts of pictures that we wanted. The pictures that Tom took are incredible and exactly what we had wanted – a combination of formal and pictures capturing the moment. He captured the day perfectly and even sent us a short video montage of some of the photos (which was completely unexpected). Lots of the guests commented on how good Tom was and everyone who has seen the pictures thinks they are amazing. Our photographer was someone we trusted, he did everything we asked to make both me and my partner feel comfortable in front of the camera. Our guests were unaware he was about. We have got photos of our wedding and guests that we can treasure forever thanks to our photographer. Tom photographed our wedding in October and it was an absolute pleasure to work with him, he documented our special day beautifully. Tom was great to work with, great price, good communication leading up to our wedding, arrived early, stayed late and he couldn’t do enough for us. We had loads of lovely natural photos of us and our guests which was great but also some fantastic unique photos with our bridal party. It was a real pleasure to have Tom as our photographer and I would highly recommend him. Thank you so much for being so fabulous last week – we can’t wait to see the photos – the taster ones are gorgeous! 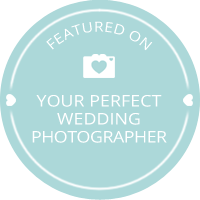 Will definitely recommend you to anyone needing a lovely talented wedding photographer! I am passionate about my bespoke and reportage style I love being a relaxed photographer that can deliver what you want whether it is reportage or more creative. Recently I have been a finalist in a few wedding awards but I have not won one yet.I would love you forever if you could spend a couple of minutes to leave a lovely vote for yours truly. Leaving reviews for me is not just helping me but it also helps all those other couples that are searching for a photographer. So please help me and others with a quick few words. You are amazing!!! Thank you for all your support. Please let me know if you ever need anything in the future.